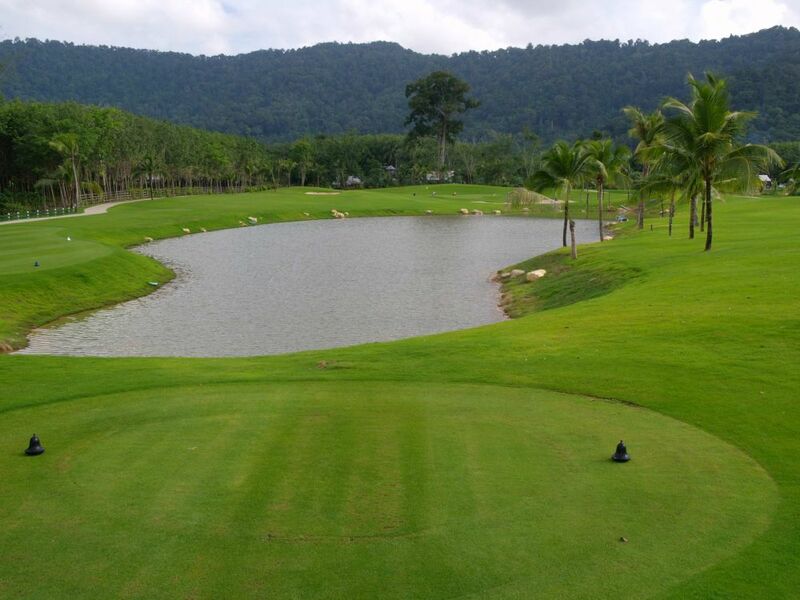 If you are looking for a sea facing picture postcard golf course to play while in Phuket, the Jack Nicklaus designed course at Mission Hills Golf Resort in Phuket is the one to play. 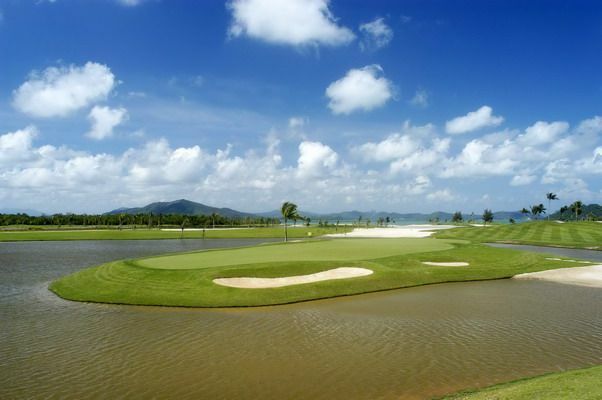 The golf course sits among mangrove forests on the scenic north-east coast of Phuket. 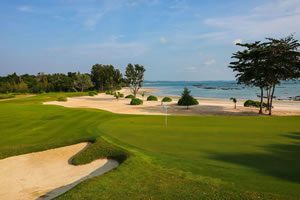 The golf course incredible ocean views from almost every hole and even includes several ocean holes playing out over the Andaman Sea like you sometimes see on the televised PGA tournaments. 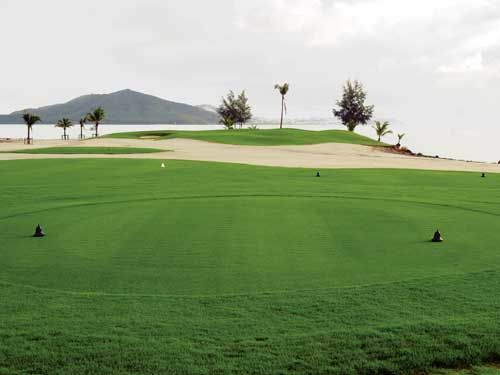 Large white sand beach bunkers contrast with the translucent blue hues of the ocean waters and the vibrant greens of the Bermuda grass on the fairways and Paspalum Sea Isle 2000 grass on the putting surfaces. 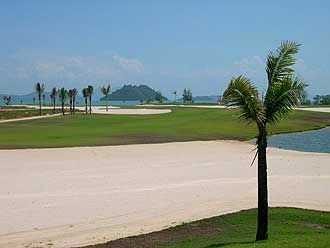 The ocean views come at a price, as water comes in to play on seven holes and the prevailing sea breezes make the play at certain times of the day very tricky. 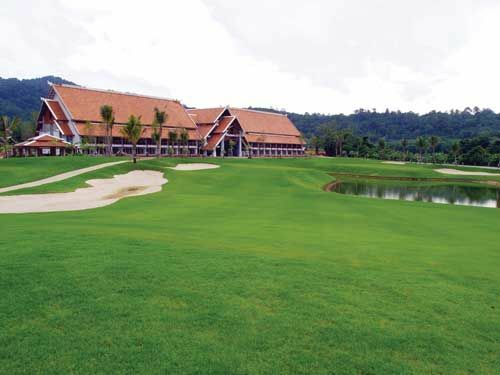 Jack Nicklaus designed some distinguishing features at Mission Hills Phuket. 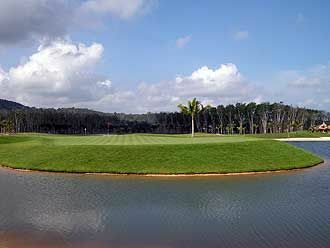 The top holes include the par-5 2nd hole requires two well-placed shots to set up a reasonable third shot into the island green. 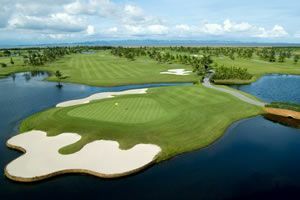 Next is the 4th which is the first of the ocean holes, and a medium-length par-3 with spectacular views across the sea. 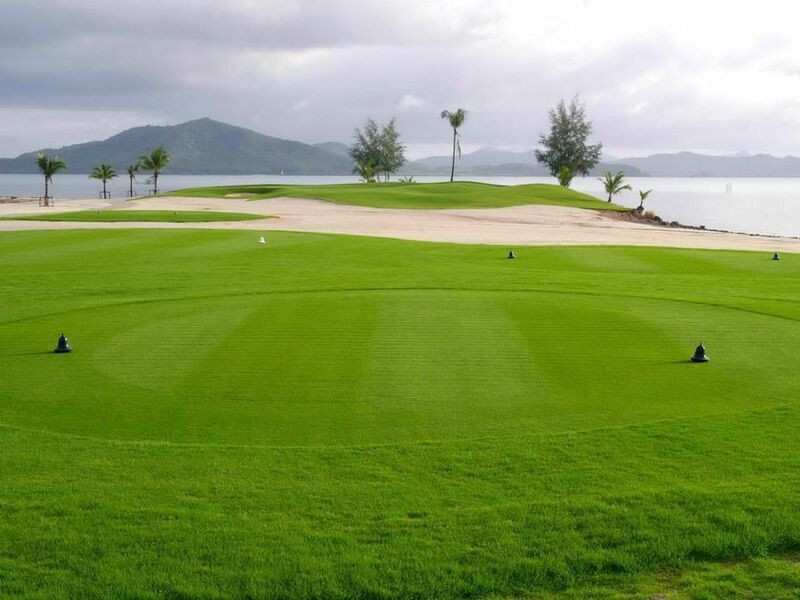 The putting surface is an island of grass in a sea of white sand. 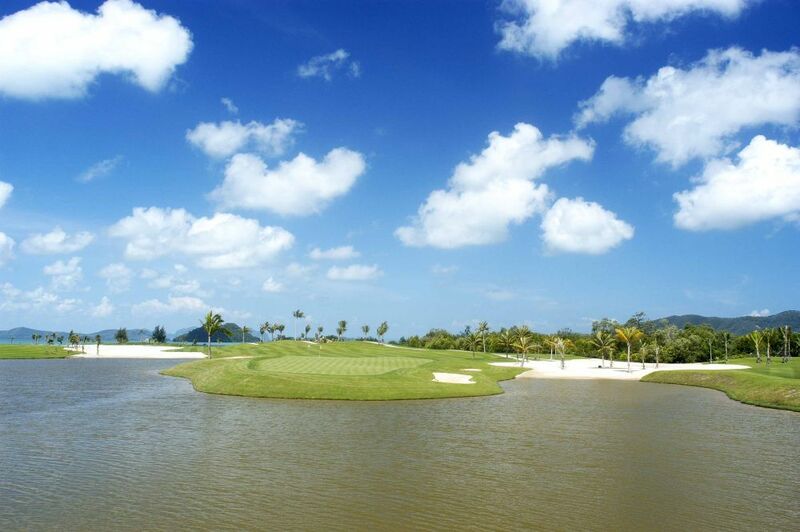 The par-4, the 5th hole plays to an island green from an island tee. 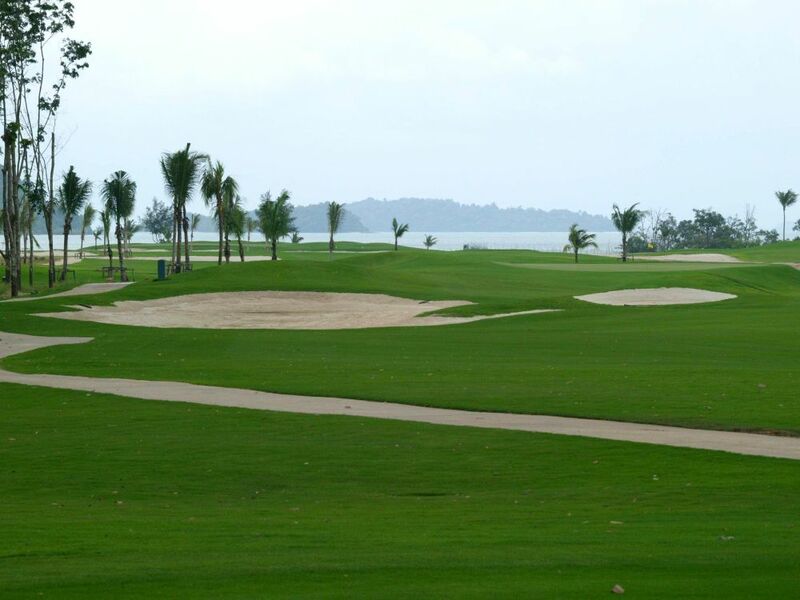 A solid sandy waste near the beach with a substantial elevation change that runs through the middle of the fairway also adds to the excitement of the hole. 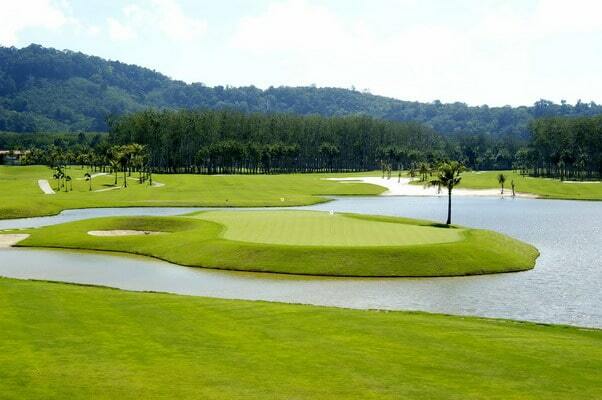 The signature 12th hole and index 1 is the longest par-4 on the golf course, measuring 481 yards from the black tees. 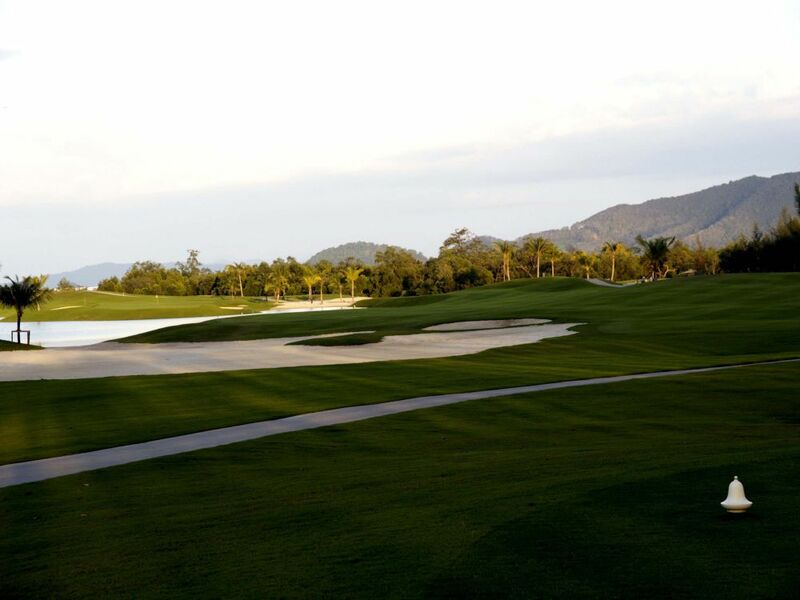 Two long straight hits are required, or an accurate one-chip and one-putt for a shorter hitter to make par. 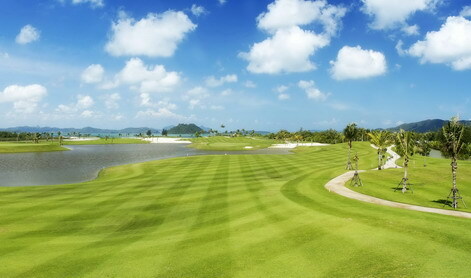 The tee shot needs to carry well over 250 yards from the black tees and land on the left-hand side of the fairway. The angle will give the shortest shot to a well-guarded green. 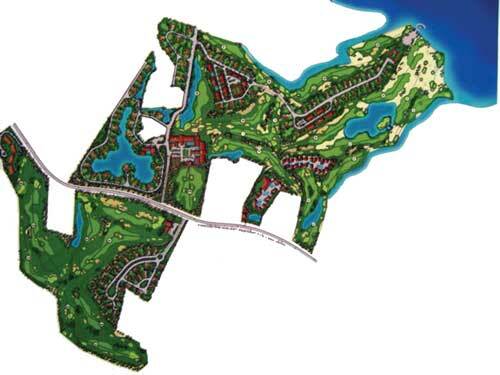 The green is protected by a lake on the right-hand side and a deep hollow to the left, penalizing those bailing out to stay away from the water. If you are fortunate to land your second shot safely on the green or close by, you should walk away happy with a par, or even a respectable bogey. 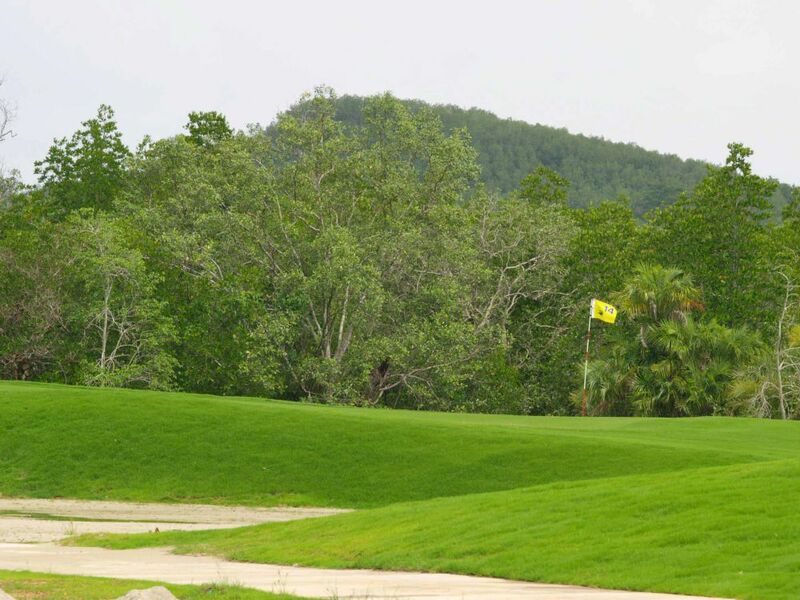 Whatever the outcome, take your time on this most challenging hole and appreciate the breathtaking ocean view by the green and picturesque mountain peaks in the distance. 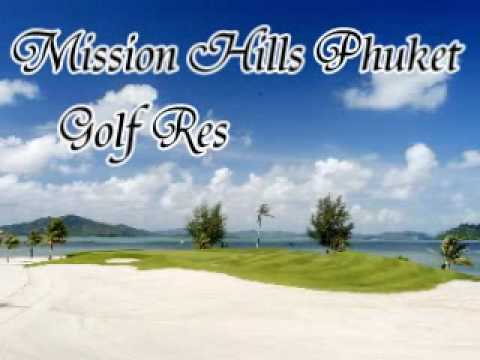 Mission Hills playing conditions can vary. 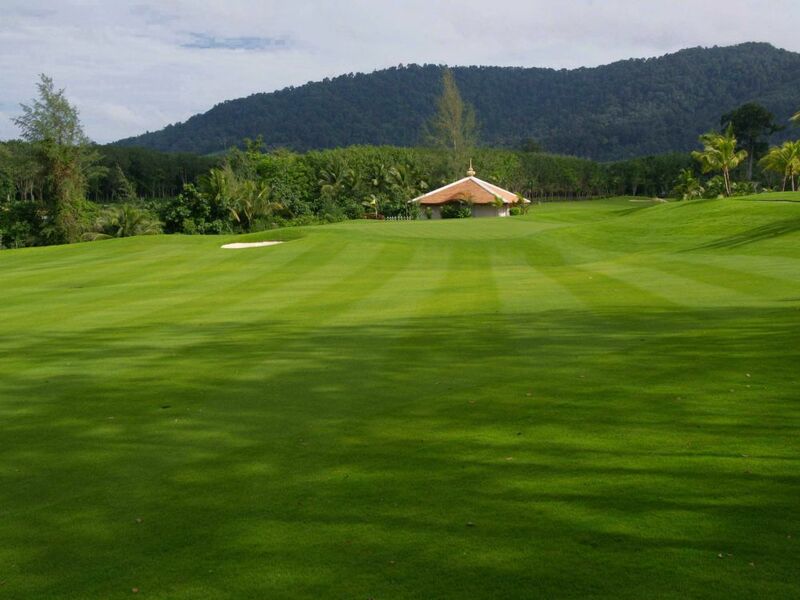 Fairways and greens are always being improved so check with us for exact maintenance. Individual golf carts are compulsory even though the course is relatively flat and an easy walk. 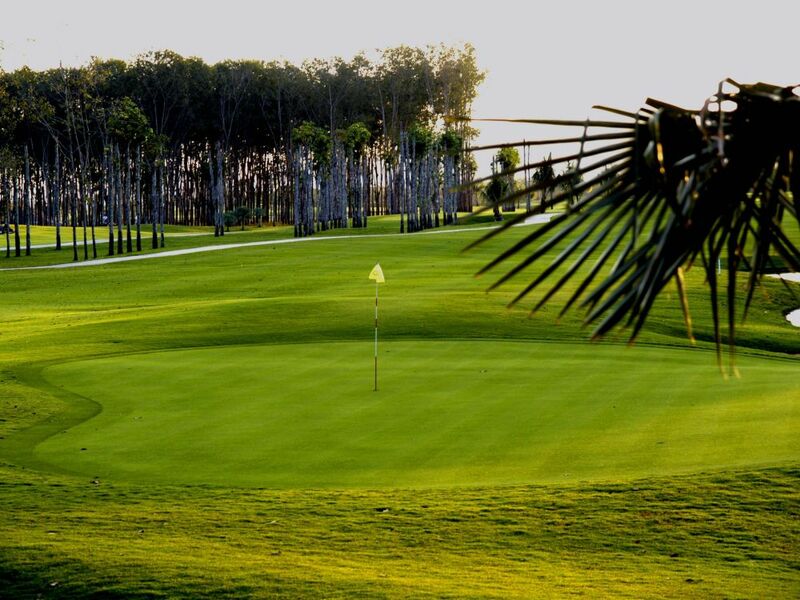 Service both on the golf course and at the accompanying spa and resort is first class. 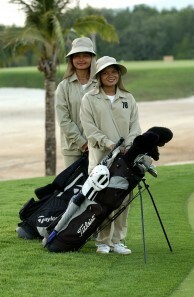 You can even order food and drinks to be delivered to you on the course as you play. 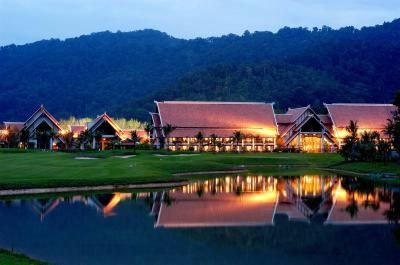 Afterward, the spa and clubhouse restaurant works well for those golfers having the time and wishing to make their round at Mission Hills into a full day&apos;s total Phuket golfing experience!